Try Continuous Ink System with your Brother MFC-290C and make 30 times more quality prints for the same money! Pay only 0.04 USD for A-4 full color print! CISS brother mfc-290c is a device, which you just have to connect to the printer according to the attached illustrated detailed instruction. The ink parameters, which are coming with the device in question, satisfy the requirements of the inkjet printer manufacturer Brother. What are the advantages of bulk ink system for brother mfc-290c? The simplicity and convenience of installation. For example, the installation will take you about 15-20 minutes, and every unskilled user will cope with it. As a rule, to install CISS any instructions are required. The printing quality always keeps the same high level. As the pressure in printing head is kept on the same level, so the printing quality will depend on the level of ink tanks filling. 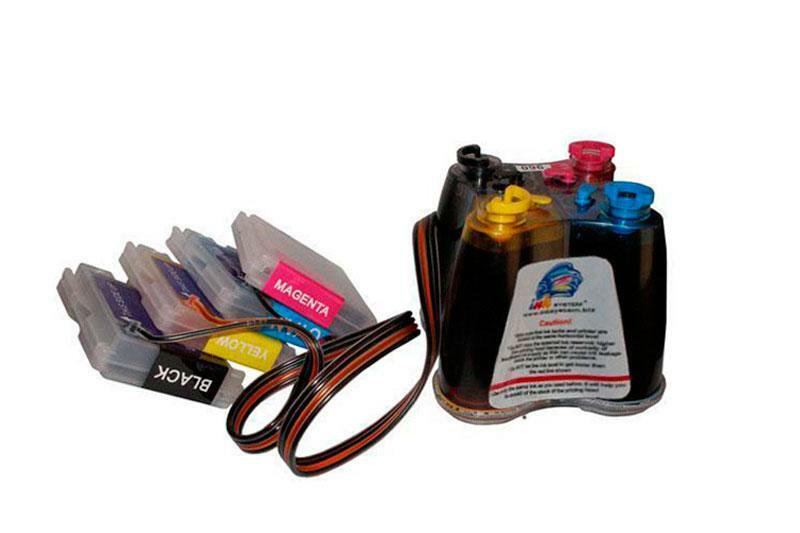 The printing speed and performance of operation is also growing due to the absence of necessity to waste extra time for cartridges replacement. CIS brother mfc-290c does everything instead of you, as well as the same models in the class ciss for brother mfc-255cw and ciss for brother mfc-6890cdw. The reliability of printing head increases, because if you use ink supply system, you don't have to avoid air penetration into this detail of your printer. If your printer is equipped with ciss ink system brother mfc-290c, you can use any ink, which is compatible with the printer and printing head, because the continuous ink supply system has no negative effect on the operability of your printing device. It is advisably to use the continuous ink supply systems ciss ink system brother dcp-130c in inkjet printers with a built-in printing head (there are printers without printing head in the case. It as situated on cartridge). First of all, it is based on the high resource of the printing head. The continuous ink supply systems can be used in all the inkjet printers Brother, and the model in question allows you to make great savings on printing by more than 50 times in comparison to the usage of original cartridges and by 30 times, if you use alternative consumables. If you use such ink supply system at home, you will make considerable money and time savings on printing photos and any color production. The usage of the continuous ink supply ciss for brother mfc-290c in office also provides you with immense savings during printing of ordinary office documents. Now the cost of printing with CISS is lower than with an inkjet printer.